That's the kind of reverence a writer can get behind. In fact, several have. Julia Alvarez, Sandra Cisneros, Richard Ford, Ellen Gilchrist, Daniel Handler, Barbara Kingsolver, Amy Tan, and Tobias Wolff are on the company's Authors Council. Word for Word's current production is "More Stories from Tobias Wolff," which consists of performances of: "Sanity," "Down to Bone," and "Firelight" (pictured above). 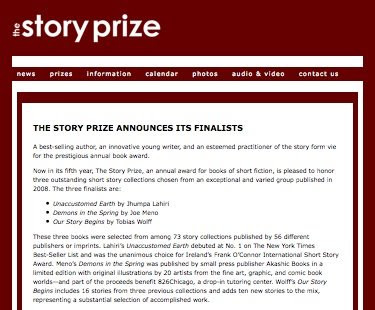 All three stories are included in Our Story Begins, one of the three story collections that are finalists for The Story Prize. 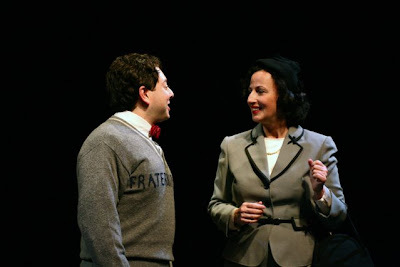 The premier performance of "More Stories" was on Jan. 10 at Stanford University, where Wolff serves as the Ward W. and Priscilla B. Woods Professor in the School of Humanities and Sciences. The show will tour the Bay area from March 9-22 and go on to a five city tour of France from March 27 to April 10. We can only hope they bring it to New York some time. Speaking of New York, you can see Wolff read from and discuss his work onstage at The New School on March 4, as part of The Story Prize award event. 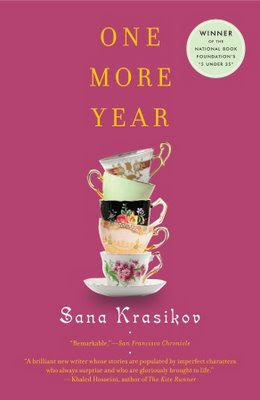 Sana Krasikov, Young Lioness and "Winner"
As I learned via Twitter (@RonHogan), Sana Krasikov's much lauded short story collection, One More Year, is among the finalists for the New York Public Library's Young Lions Fiction Award. It's up against four novels: Jon Fasman's The Geographer's Library, Rivka Galchen's Atmospheric Disturbances, Zachary Mason's The Lost Books of the Odyssey, and Salvatore Scibona's The End, which was also a National Book Awards finalist. To return to something I've griped about before, the Young Lions Fiction Award Web page still had last year's finalists up—hours after its announcement went out. Come on, Young Lions, you have to coordinate your site with your announcement! Get on the stick, Ethan Hawke! On the plus side, the Young Lions usually don't go for the obvious choices. I always find out about books I hadn't heard of before when they "announce" their finalists. And two of the books this year are from small presses, which is always a plus. Graywolf is Scibona's publisher and Starcherone Press is Mason's. One odd thing about the paperback cover of Krasikov's book is that it proclaims her a "winner" of the National Book Awards' 5 Under 35, which isn't an award, it's an event—five past NBA finalists or winners choose a writer under 35 to read from her or his work. Francine Prose chose One More Year. It is an honor and a mark of distinction, but couldn't the faux seal just have said "A National Book Award 5 Under 35 Selection" or something accurate like that? The paperback isn't out until August, so maybe they'll trumpet the Young Lions selection instead, especially if Krasikov wins. I'm pulling for her, but my money's on Galchen. By the way, speaking of awkward segues, the Story Prize event is two weeks from tonight, on March 4 at the New School. Our lions of varying ages are (of course) Jhumpa Lahiri, Joe Meno, and Tobias Wolff. They'll read from and discuss their work onstage before we announce the winner. Tickets are still available. We've revamped The Story Prize Web site, adding audio and video, as well as pull-down menus that enhance the navigation, thanks to Web master John Parsons, who created the precociously classic look of the site. The audio is of an appearance on WNYC's Lopate Show with the 2006/07 finalists for The Story Prize--Rick Bass, Mary Gordon, and George Saunders. The video consist of two Web casts: one from the 2006 event with finalists Jim Harrison, Maureen McHugh, and Patrick O'Keeffe; and a slicker production from last year's event with Tessa Hadley, Vincent Lam, and Jim Shepard. Missing in action is audio from our first event at Symphony Space in 2005, some of which we hope to add soon. We'll also link to this year's Web cast once it's up, which should be a couple of weeks after the event. Our goal is to create an audio and video archive of all of our annual award events. As before, you can also see photos from each year. In addition, we've finally posted a page on the fourteen other notable story collections from 2008. I provided the list itself here a couple of weeks ago. The page on the Web site adds text to that, with a paragraph on each book focusing on one particular story. We can't recommend these books highly enough. We also have lists from 2007, 2006, and 2005. And while we're at it, we might as well mention that The Story Prize event is just a month away, with finalists Jhumpa Lahiri, Joe Meno, and Tobas Wolff reading from and discussing their work at the New School on March 4. Why wait for the Web cast when you can see it live?